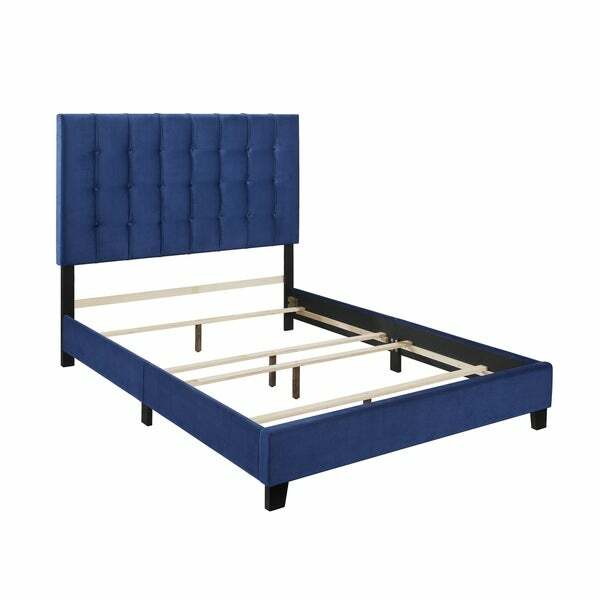 Add a splash of color to your bedroom decor with this beautiful, blue king bed. Upholstered in soft, sumptuous blue velvet, it has a luxurious look and feel. Subtle button tufting adorns its headboard, adding a touch of refined glamour to its stylish design. This panel bed is crafted with solid hardwood for quality and durability. Dimensions 85.5 In. X 80.17 In. X 58.0 In.